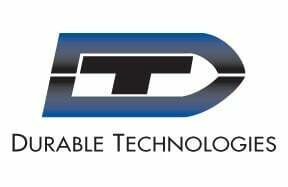 Durable Technologies is the “One Stop Shop” for all of your factory marking tools and identification requirements. Our complete line of marking machines includes manual and pneumatic impact presses, dot peen machines, laser marking systems, CNC marking tools, hot stamping printers and ink jet printers. Our complete offering of marking tools and supplies includes steel stamps and dies, sharp face steel type, embossing type and dies, type holders, striking hammers, hot stamping type for personalization and monogramming, wire marking type, industrial mil spec inks, rubber stamps and pads, numbering heads, QC inspection stamps, stencils, nameplates, ID tags, and more. Whether marking lot numbers, expiration dates, case codes or general package date coding, we have the replacement metal coding type and dies, type holders, hot stamping foil, hot melt ink rollers, rubber type, ink jet fluids and thermal transfer ribbons needed to be your date coding supply specialist. No matter what kind of material you're marking, we manufacture and supply an extensive array of marking tools and marking machines that will meet you needs. Call us today at 866-344-7721 to let us evaluate your application and help you determine the best marking solution based on your requirements.